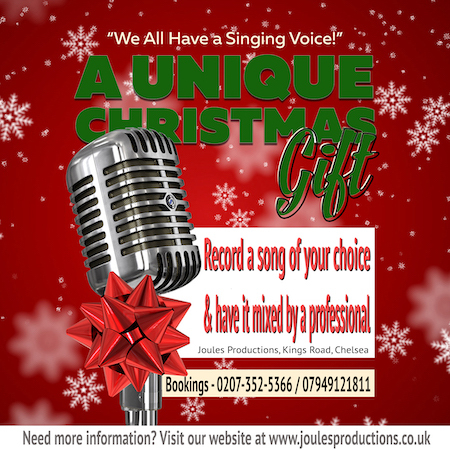 Requested by popular demand from last years unique Christmas gifts package, we are offering yet another 20 sessions at unbeatable prices for an unusual Christmas gift experience in professional voice recordings in our studio in Chelsea and Kensington! We have applied savings purely for the festive season so get in there before they are all gone. Leave it to an expert to make you, a member of your family, friend or loved one sound like a real professional! Choose any recording to sing to, and we will do the rest to radio and chart quality. These can be purchased for yourself or given as an unusual and unique Christmas gift. Buy and book a unique Christmas gift package of your choice by clicking here. Prior to the recording session, let us know what song you want to perform so that we can prepare it for the studio session - https://www.sunflykaraoke.com/tracks. Arrive at the studio 10 minutes before the booking. We will introduce the studio and how it all works. Warm up your voice the studio booth in preparation to record to the song. Leave the tweaking to us, and we will email the finished track back to you within 24 hours, with your voice mixed and tweaked professionally on the music. Within 24 hours of completing the session, we will send the completed recording by email. Additional CDs can be posted out for £5 each. 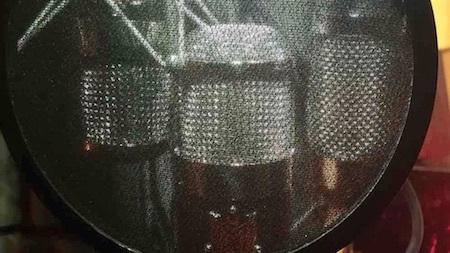 We record with leading industry microphones including the world famous improvements to 1950s Neumann tube U47, U67, AKG C12 (all favourites of Sinatra & Pharrell Williams). We mix with 1960s vintage hardware and modern-day software. We then pitch and time tweak if needed with Melodyne to ensure a true sounding human voice (forget autotune, as it's simply horrible sounding for this) to reach today's radio quality standard. With over 20 years in the business and over 20 chart hits, we can guarantee professional results. If you would like more information about how we can assist you, drop us an e-mail and we will get right back to you. Or contact us by phone at our London Recording Studio on +44(0)7949121811.